Ace Enders’ resurrected act I Can Make a Mess like Nobody’s Business returns after a four year break to play along with your worst and best moods. 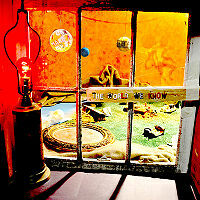 The World We Know encompasses a variety of acoustic and full band sections throughout the one-track album that finds the frontman pondering his own identity, those around him and the life he chooses to live. Although some may find these topics typical from the lead singer, it is the way he executes them that makes the album a new breath of music. 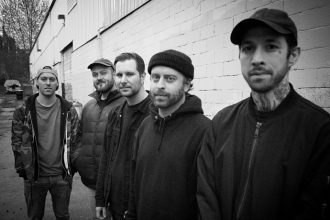 The progressive nature of this band is not only apparent in the mature songwriting and stripped down vocal structuring of the songs, but also in the harmonizing skills each member has. Out of all the projects Enders has been involved in throughout his long career, this is the one act that is constantly refreshing and humbly honest each time they issue a release. 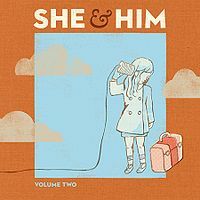 One can tell a lot about an album by it’s cover and the latest offering from She & Him proves just that. Actress/singer Zooey Deschanel is that innocent summer crush stern men fall for and Volume Two is the soundtrack she sings while they chase her. With a voice that’s bright yet bold, Deschanel’s lyrics and tone are suitable for the 60s’ jukebox lover who still knows how to shimmy. It lacks the potential to explode on the mainstream charts and grab prestigious awards, but the record is built with a charm that can capture indie hearts all summer long. It’s a good thing Woodhands don’t rely on computers as part of their live shows – it’s hard enough to believe that their drum machine and keyboards remain functional with the buckets of sweat poured at every performance, both by fans and the duo themselves. When they’re not playing illegal outdoor shows on rainy Halloween nights, Woodhands are recording albums like Remorsecapade that do fairly comprehensive jobs at capturing the raw passion (and aforementioned sweat) that is rapidly becoming their calling card. 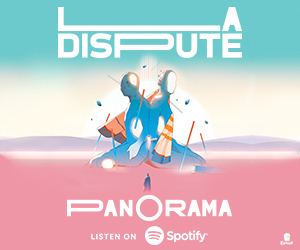 On songs such as “Coolchazine” and “I Should Have Gone With My Friends” something truly disorienting happens; amidst thumping beats, synthesizers and rusty grinding, fury-tempered vocals embody an emotion long overlooked by the dance set: inarticulate anger. 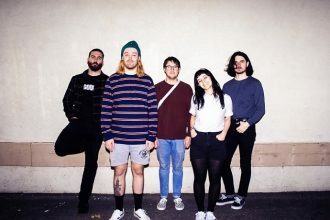 The free form hopeless love song “I Want to be Together” seems like an extension of that emotion that, seamlessly flowing into “How to Survive A Remorsecapade (Outro)”, creates a striking conclusion to the album that seems to be saying far more under the surface than it shouts outright. 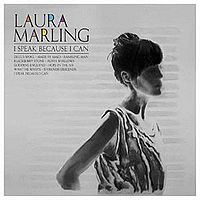 If you strip music of its flashy lights and clothing and extinguish money and fame to bring it down to its bare bones, the result would be Laura Marling. The 20-year-old British songbird’s second record titled I Speak Because I Can is a collection of tracks that are brutally honest because they’re manifested out of mysterious yet dark emotions that can be melancholy or cheerful. Similar to musicians such as Damien Rice and Glen Hansard, Marling can ignite a fire with Celtic-born numbers like “Devil’s Spoke”, mesmerize minds with “Alpha Shallows” and strangle hearts with the title track. 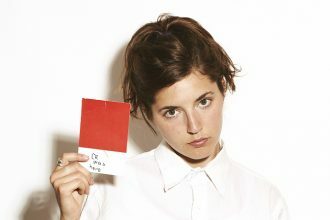 She may not evidently sing about break-ups, but you can experience every feeling that influences the London folk artist, as its just the natural way of expressing one’s self through song. Album number five from dance duo Goldfrapp opens with a series of fast-paced disco tracks ready to back the training montage to a dance contest – in 1974. I couldn’t shake the sense that at any moment of the song “Alive” they would break into ABBA’s “Waterloo”. 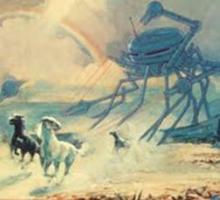 Following these upbeat songs though, is a b-side of spacey ambient tunes that ought to do little more than piss off the coked-up party goers who were enjoying the first half of the record. 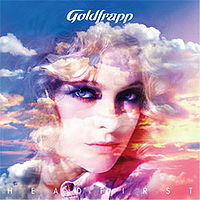 On first listen, it seems as though Goldfrapp has jumped “head first” into retro disco, but upon closer examination they’ve only waded in up to their knees, before heading back to towel off with the sleepy sound of previous efforts. A YouTube sensation propelled by a determined mother and a mature voice, Justin Bieber isn’t your ordinary kid. 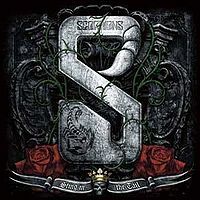 At the ripe age of 16, the singer from Stratford, Ontario, can hold a note and produce material at an incredible pace. 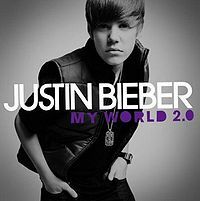 Just four months after his debut hit the shelves comes My World 2.0, a brief follow-up with a pop filling made out of upbeat R&B tracks and ballads bound to be imprinted in the minds of adolescent girls across the globe. Its length is quite short and features a few bumps here and there, but the talent is apparent, as it’s enough to challenge most pop music competitors. Let’s just hope Bieber can tweak his ability a bit by shifting gears on his preference of genres before he hits that oddly familiar stage called puberty. 3 stars for Bieber??? is that out of 50??? WTF?? ?